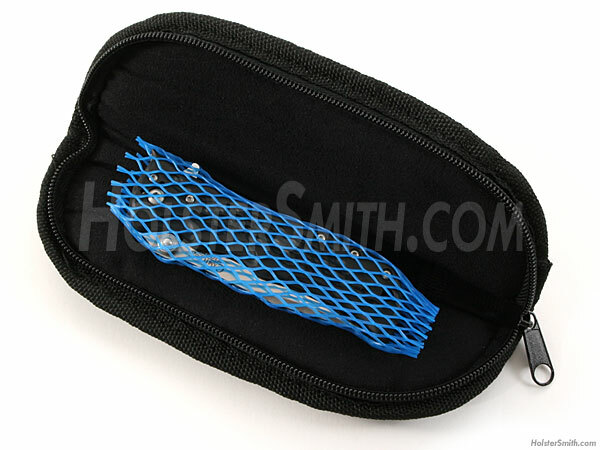 Protecto-Mesh™ is great for protecting your collectible knives, watches, custom pens, etc. 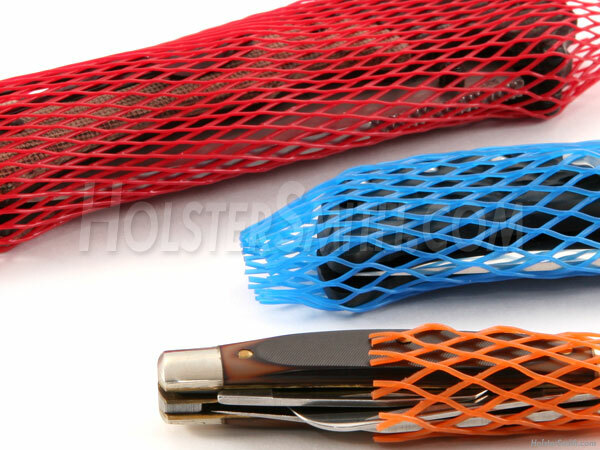 Once you cut it to size and slip it over your object, it grips tightly and creates a strong, custom-fit polyethylene contact layer around your valuable item, minimizing damage from movement, dropping or pouch liner wear. We have also found Protecto-Mesh™ to be very good for automatic knife storage, as it assists in holding the blade closed and adds an extra degree of safety to long term storage. This material will expand well beyond the expanded size recommended. Our expanded size is measured as a general diameter, where no excessive stretching is performed. 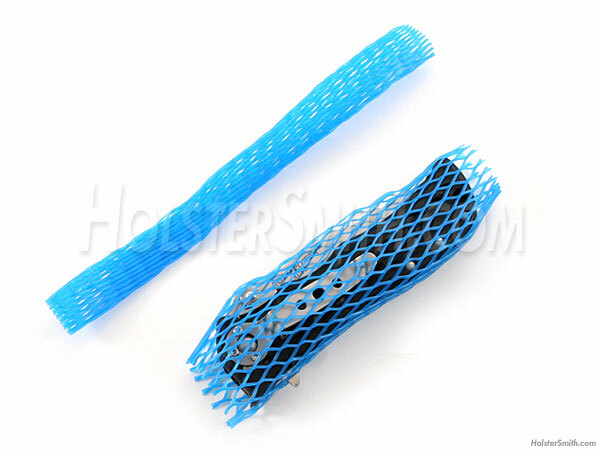 We estimate 30-40% additional flex diameter is attainable from additional stretching, but will result in less protection due to excessive mesh opening and can create more difficulty in object removal.